Have you ever wanted to experience the life of a baby bird? How about curling up in a cosy nest perched high in the air? 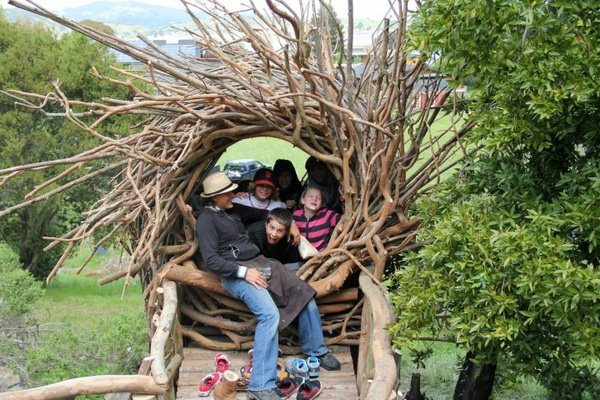 California-based artist Jayson Fann is giving humans that chance, building gigantic nests out of locally harvested tree branches. Calling his creations Spirit Nests, Fann offers his work for sale through Big Sur Spirit Garden, an international arts and cultural center he founded in the incredibly beautiful Big Sur valley south of Monterey.